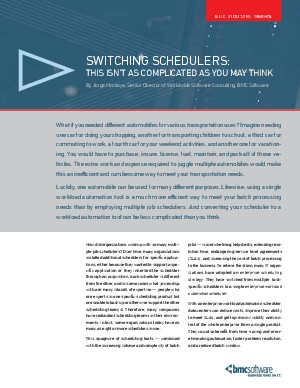 Changing or consolidating job schedulers may seem daunting. However, the benefits of switching to enterprise workload automation outweigh the risks. Read how BMC can help realize goals like reduced cost, top-down visibility, improved SLAs, and a single enterprise view across all platforms.